Since the Civil War, when the Medal of Honor was established, only five chaplains – Fr. Joseph O’Callahan, Fr. Vincent Capodanno, Fr. Charles Watters, Fr. Angelo Liteky, and Fr. Emil J. Kapaun – have received it. Each of these was Catholic. No other chaplain, of any denomination, has been so honored. There are many brave individuals, especially in battle. There are many brave chaplains of all Faiths. What was it that prompted only Catholic chaplains to perform such extraordinary deeds that they would receive the nation’s highest award for valor? There was nothing unusual in the backgrounds of these five chaplains to foretell their actions. They were common men, raised in much the same way as their peers. Some were athletic, others were not. Some were intellectual, others were pragmatic. Some came from large families, others small. Some were raised in working class environments, others were more privileged. Like all chaplains, they did the routine duties of their branch. In times of peace, they listened to gripes, served as a bridge between the men and their officers on missions of reconciliation, arranged coffee breaks, movies and entertainment to keep up the moral of the young troops, and served as psychologist and parent-in-absentia to the men. They said Mass, heard confessions, and generally ministered to the men and their families. 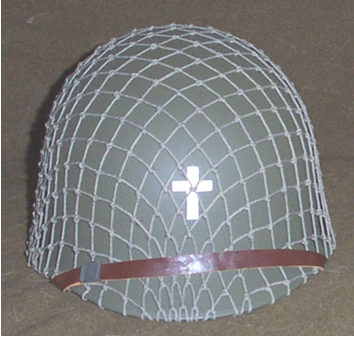 In battle, all chaplains pray with and for those about to go into the fray, soothe the wounded, and minister to the dying. Yet, when circumstances demanded extraordinary deeds, only Catholic chaplains went well beyond the norm. I believe there are two elements unique to the Catholic priest that account for this. First is the Eucharist. Other religions may profess to have the Word of God as recorded in the Bible, the Torah, the Koran, or the Book of Mormon, but none has the true presence of Our Lord on earth. Only the Catholic priest can transform bread and wine at Mass into the body and blood of Christ. At the consecration, when the priest elevates the host after saying the words, “This is my body,” he is actually holding Christ aloft. And similarly when he consecrates the wine and transforms it into the blood of Christ. There is a physical presence here that cannot exist in any other religion. The center of the Catholic Faith is the Eucharist. The person who makes it the focus of his life develops an intimacy with Our Lord. Christ is the model of pure, selfless, unconditional love, who was martyred on the cross for the salvation of mankind. 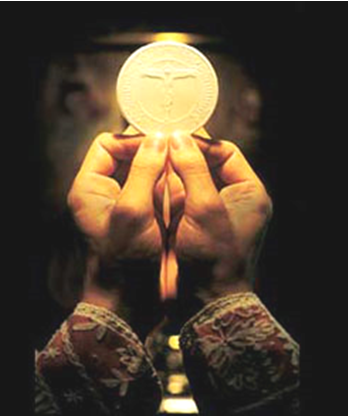 St. John described the reciprocity that this sacrifice calls for: “We know love by this, that Jesus Christ laid down his life for us – and we ought to lay down our lives for one another…let us love, not in word or speech, but in truth and action.” (1Jn3:16-18) Through the Eucharist the priest is strengthened spiritually so that he is able to reciprocate this love through a willingness to give his life for others. The second element is the priest’s promise to lead a celibate, single life. A person without obligations for a wife and children is freer to act than one who has concerns for the well-being of his family. It is not just singleness, however, but celibacy which distinguishes the priest. Archbishop Fulton J. Sheen speaks of celibacy as an offer of a gift from God, and likens it to a marriage proposal from a man to a woman. The woman is free to accept or refuse the offer. In accepting celibacy, the priest renounces sexual pleasures and presents to God a sacrifice that strengthens the bond between them. It is a sign, as the Catechism of the Catholic Church (1579) states, that priests have accepted the call “to consecrate themselves with undivided heart to the Lord and to ‘the affairs of the Lord,’ [that] they give themselves entirely to God and to men.” The priest thus can be more generous with his own life in the service of others.